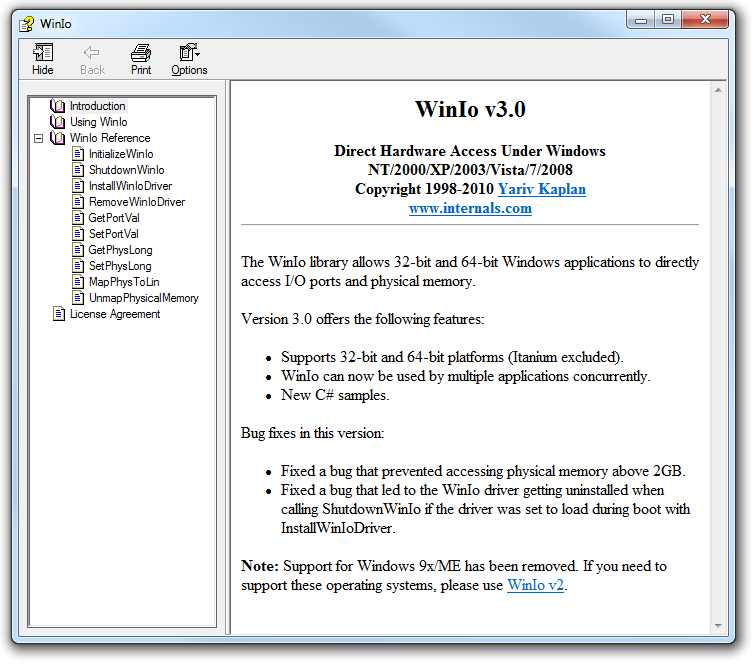 I'm trying to debug come code that uses WINIO, but unfortunately I can't find any good explanation on what it's supposed to be doing. 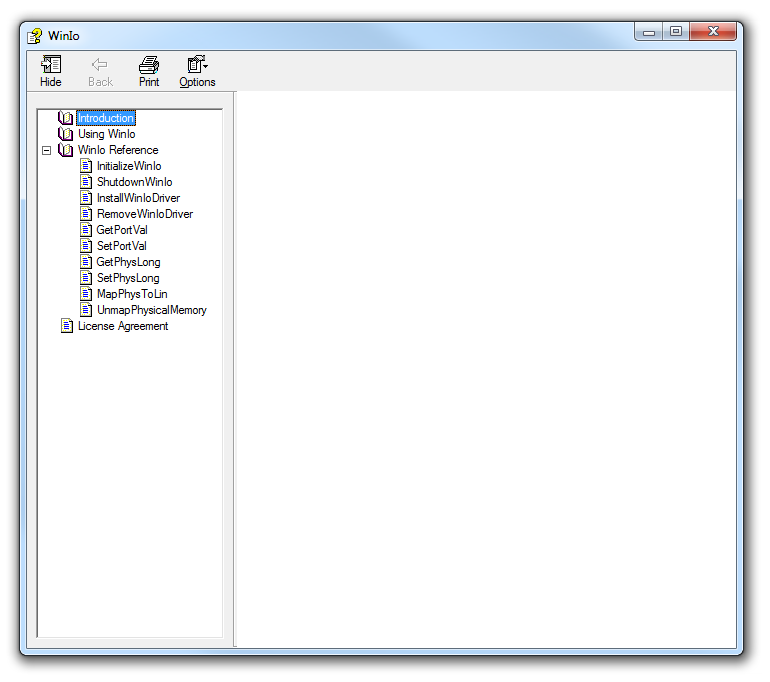 The standard download comes with a CHM helpfile, but just to add insult to injury, every page of the helpfile is blank! Is there something wrong with the help file, or is it really meant to be full of empty pages? You've already got the documentation. It's that help file. But the help file was downloaded from the web and your computer knows this and doesn't want to show the HTML until you tell it to trust it. 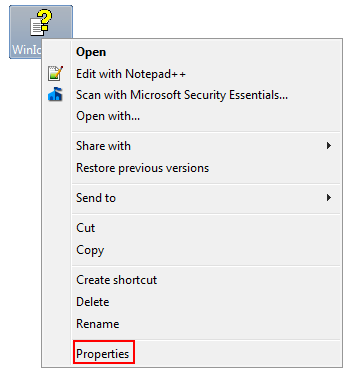 Right click on the .chm file and select Properties. 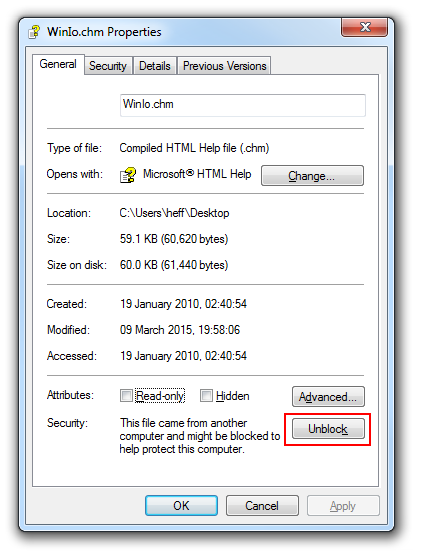 Then click the Unblock button. Then open the help file again and you can see the content. Not the answer you're looking for? Browse other questions tagged windows winapi chm or ask your own question. Why does only the first line of this Windows batch file execute but all three lines execute in a command shell? Where can I download binary eggs with psycopg2 for Windows? How to distinguish between different processes using the same name? How to open rabbitmq in browser using docker container?